Recently I tasted a spicy masala poori in a restaurant lunch buffet. It was very tasty. We all loved it. 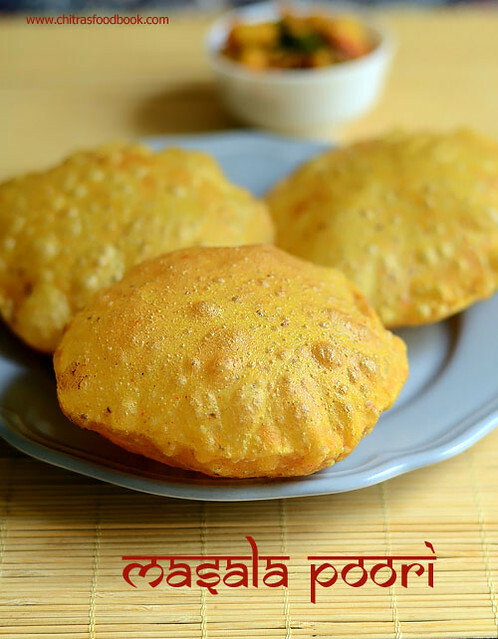 I wanted to try this yummy poori recipe at home.When I browsed for the recipe, I found masala puri is a popular Gujarati snack recipe. I watched a YouTube video and tried it for our Sunday breakfast along with aloo bhaji / Potato masala as side dish. Actual recipe called for amchoor powder. 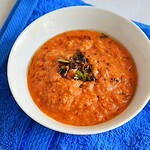 I din’t use it as I had no stock.I have used garam masala powder to make it more flavorful. But its not used in the authentic version. So this recipe has a slight variation from the original recipe. But it came out very well and we loved the combination of masala poori with Bhaji. 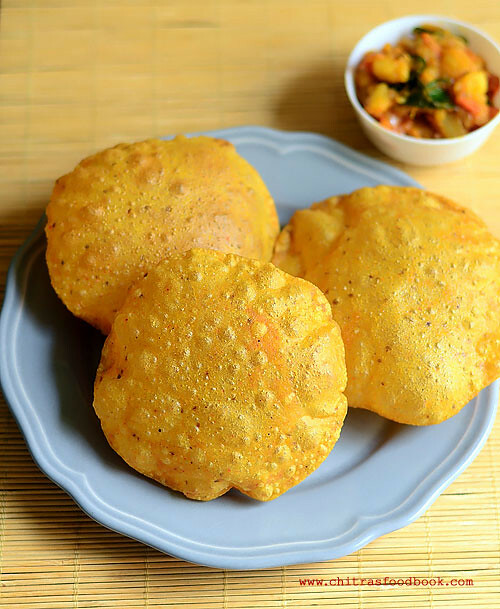 Gujarati people carry this masala puri for travel to have it as breakfast or teatime snack. 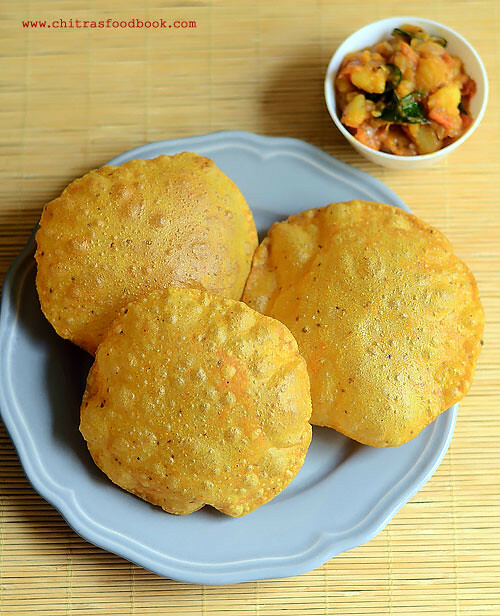 As it tastes spicy, you don’t need any specific side dish for this poori. 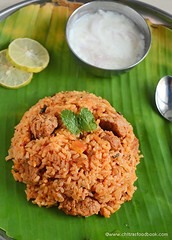 But if you wish to have it for breakfast, you can try it with aloo bhaji, Batata nu shaak, Aamras or even with pickles. 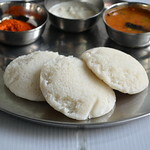 When I tried this recipe, I reminded about the famous roadside masala puri chat recipe. Of course, both are completely different recipes but the name masala poori tempted me to try that chat recipe as well. 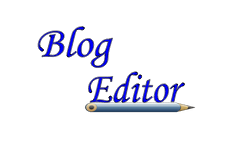 I should make it very soon and share in my space. Today we will see how to make this yummy Gujarati special masala puri recipe with step by step photos and a video ! In a wide bowl, take the atta/Whole wheat flour, besan flour,turmeric powder, red chilli powder, dhania powder, garam masala powder, amchur powder( If adding), carom seeds, salt and cooking oil.Mix well. To this add water little by little and make a soft, non-sticky dough. 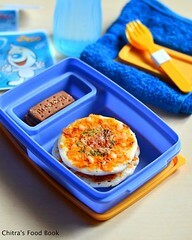 Grease the dough with oil lightly and keep it covered with a lid for 15-30 minutes. After the resting time, take the dough and make golf ball size.Roll a dough ball and dust in the wheat flour. Roll it thick and make small, thick circle. Poori will not puff up if you roll it thin. 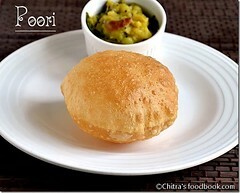 If there is any hole in the poori, then poori won’t puff up well.So make sure to roll it accordingly. Make all the poori and arrange them in a plate. In the mean time, heat oil in a kadai to deep fry the poori. When the oil is heated, drop a pinch of dough. If it rises to the top immediately without browning, oil temperature is right.Take a rolled poori, pat it well to remove the excess dusting and drop the rolled poori in oil. Deep fry one at a time. As soon as you drop the poori in oil, it will rise to the top. At that time, press it gently with a ladle. It will puff up nicely.Flip the poori and cook for a minute. 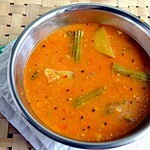 Remove in a tissue and serve hot with Poori bhaji or Aamras. Stack the poori one above the other and store it when its warm. Poori will turn soft and stays good for hours. If you let the poori dry in air, it will become chewy. 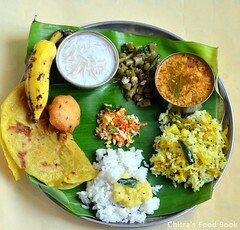 So if you carry this puri for travel,store it when warm. 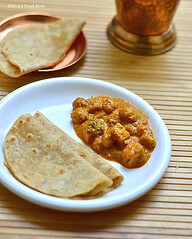 You can skip besan flour and make with atta alone. You can replace oil with ghee. Garam masala powder is not mentioned in the original recipe. But I used it to make the poori more flavorful. Do not make a sticky dough. Poori will absorb more oil. Keep the dough covered till use. Do not let it dry. 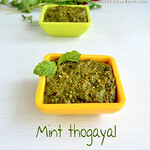 You can add 2 tsp of crushed kasoori methi to the dough while kneading. Try this flavorful, spicy masala poori for your breakfast and enjoy with potato kurma, potato masala / Aloo Bhaji or aamras !